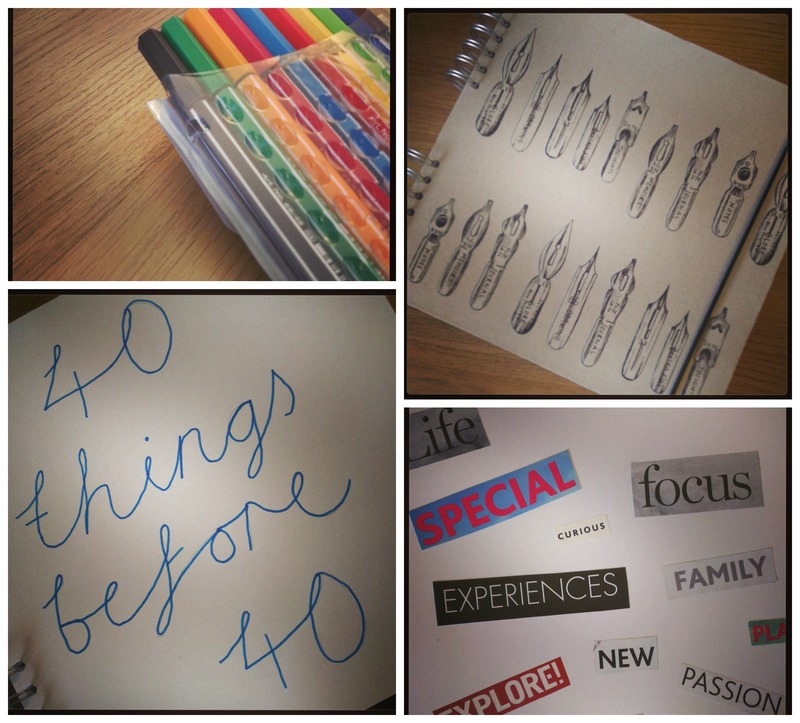 This week, with my 35th birthday looming, I have taken some important first steps in my 40 things before 40 project. First off, I bought a new notebook. This is possibly the most important step, and I do sometimes wonder if I may not have just come up with the whole idea purely as an excuse to do this very thing. I do love a bit of cutting and sticking after all. However, despite having purchased said notebook, got it home safely, and stroked it for a little while, the novelty didn’t seem to wear off, so it was time to start writing in it. Best felt tip pens at the ready. I am looking for a total of 40 things to do over the next five years, but I figure I don’t have to have them all decided until a year before the deadline, as I am known for being a tiny bit fickle and am sure to come up with new ideas along the way. Eat a meal in a Michelin star restaurant – I did this one on my birthday! Read all about it here. Got to the opera – Done! I went to see Turandot originally and have seen a few more since. I’m not a fan, although I did like that with Turandot we came out into the restaurant for a different course between each act. That was fun. Visit Auschwitz – Done. Read about it here and why I didn’t feel how I expected to feel. 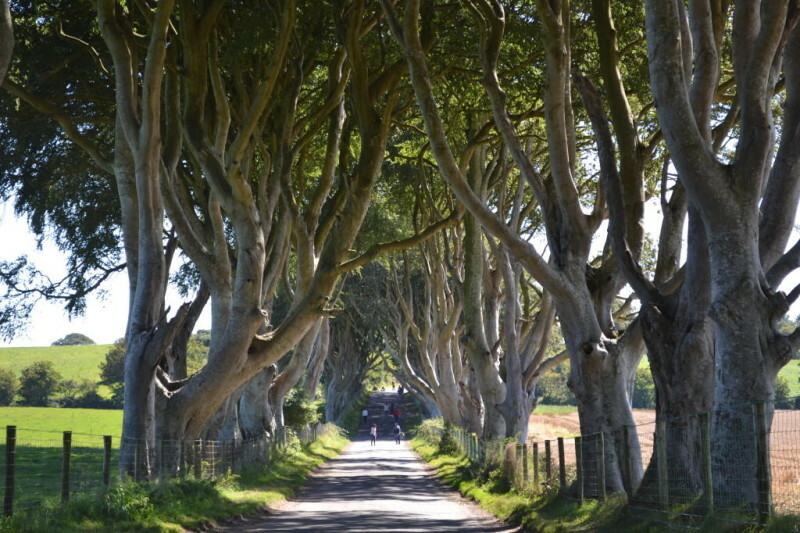 Visit the Dark Hedges – Done! Read about it here. Ride the wooden escalators in Macy’s, New York – done! January 2015. Stay in one of the places from the Amazing Spaces programme. – Done! I actually can’t remember where it was, but I remember thinking ‘Oh this means that I can cross this off my list!’ I’m sure it will come back to me. Drink a milkshake in an American diner – Done! See the evidence here. Grow an avocado plant from a pip. – I’m really trying with this one but the damn things refuse to grow. Take a ride in a helicopter – Done! Solve a mystery Nancy Drew style (i.e. in matching hat and gloves) – I went to a mystery evening at Belle’s school and bought a Nancy Drew style hate to wear especially, so I think this counts? Go to a festival on my own. I’ve thought about this one a lot and decided it’s not that important to me anymore. Although I have been to things like the Bath literary festival so maybe that counts?? Do a driving experience where you get to go off road and drive through rivers and things like that. (I like driving through puddles at the side of the road when it’s really rainy.) – I’ve done this one – evidence here. Visit all the counties in England – Done! We covered the last nine in a Motorhome. Sing in public – did you not see my Mariah Carey at the 2017 taunton freelancers Christmas party?? Cook a souffle – I’ve done this! I made my first ever soufflé! It’s on my list of 40 things to do before I’m 40, and as that is only a year away now I felt I really needed to crack on with it! I feel so proud of myself. I know it’s a very small thing in the grand scheme of life, but it’s nice to have little things to aim for isn’t it? I absolutely nailed it too. Visit every house I’ve ever lived in. I’ve decided I’m not that fussed about this one either. I mean, I LIVED in them all, so technically I’ve done it anyway right? Swim (or splash a bit at least) outdoors in Iceland (country not shop) – this was a tiny bit late but I did it a couple of months after I turned 40 – the trip was a birthday present from my lovely sister and brother-in-law. Learn to take a decent photograph – I think I can say I’ve done this. I did this session and have started editing and everything! Fly business class – I’ve done this a few times now, only for work when someone else has been paying. It’s pretty nice being able to lie flat but I’m not sure it’s really worth it, unless you have more money that sense. You all arrive at the same time still. 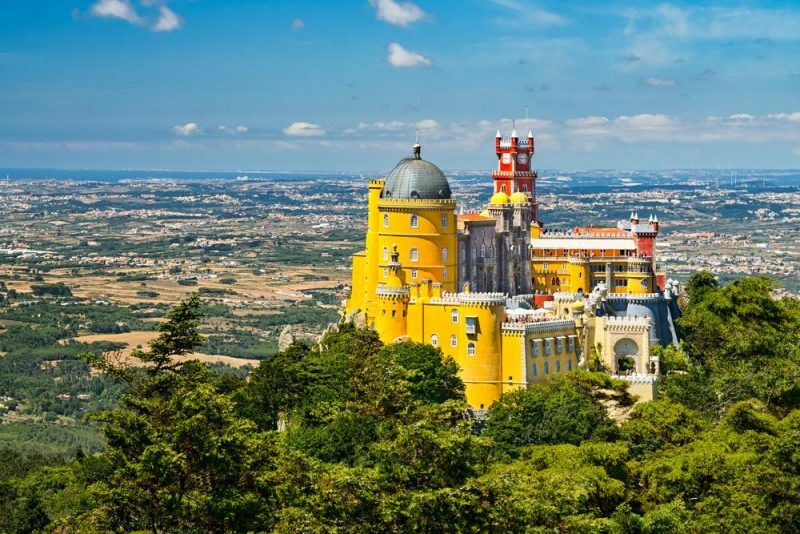 Visit Sintra in Portugal. It’s a crazy multi-coloured fairy castle. What’s not to love? – I did this one just a few days before I turned 40! Take an open top bus tour in ten different cities (I am a sucker for these – all the best bits of sightseeing but sitting down!) – I’ve done London, Barcelona, Cambridge, Liverpool, Stratford, Bristol, Bath, Derry, Paris and Dublin. Hoorah! Send a message in a bottle – Done! Here’s the proof. Make my own lemon curd – done! Check out the recipe here. Own one of those wicker baskets that fits on the stairs. (I know this is ridiculous, I’ve just always wanted one.) – My mum got me one of these for my 39th birthday! And very lovely it is too. Sleep on a water bed – Done! It was not much fun, and there was a creepy dog shrine. Live in a tree (even if just for a night) – So is this! Make fresh pasta from scratch – yep! Go to a football match – Big tick here. Publish a book – this is happening! This is a weird one as I’d kind of decided it wasn’t something I wanted to do after all, and then TWO DAYS before my 40th birthday a publisher emailed me out of the blue. If that’s not fate then I don’t know what is. Get a tattoo – done! Have something custom made – yes! 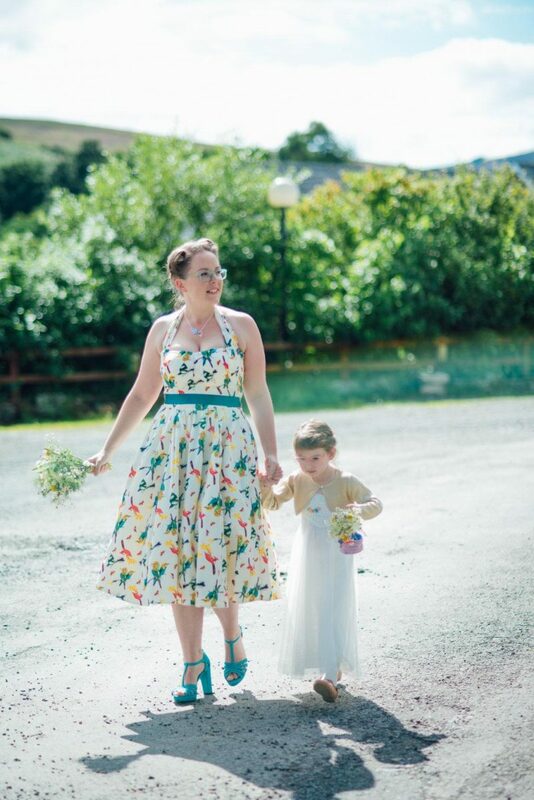 I was a bridesmaid at my sister’s wedding in August 2016 and had my dress made. Place a bet in a casino – Done! I even doubled my money. Sleep overnight on a train in a proper bunk, Hercule Poirot style. Buy a house – Done! Who’d have thought it! I was tempted to add ‘become debt free’ but I fear it may rather conflict with the other 39. If you’ve counted, you may see that there are only 39 things on the list – I’m leaving one for luck in case anything else amazing occurs to me. So there we go! Not long left now… If you can help with any of the outstanding ones then please let me know! Great list! Some of them are very brave, like singing in public! Yikes, I would never be that brave, but then I can’t sing. I love the idea of visiting every house you have lived in. I’m quite sentimental about that kind of thing so I’d love to do that too, especially my childhood home. The house thing I reckon could be a interesting. I have lived in about 30 different houses, although all of them in this country and quite a few in the same area! It would be good to have a record and some photos though I thought. Maybe it’s age, but I sort of want to do it as a legacy thing if that makes sense. Dress up as Superwoman and help old people with their shopping bags! I’m actually on the case with the restaurant one – my mum is taking me to the one in Westbury on Trym as a birthday lunch. Is it any good? It’s called Casamia I think. this is a great list – I snorted at the Iceland one! I always wanted to go on the TRans Siberian Express as a teen but not sure my old bones would take being cramped up in a bunk for 10,000km now. seeing your solving a mystery one has just prompted me to buy a couple of Sherlock Holmes accessories for an upcoming girls weekend! I look forward to following your progress…. I’ve always wanted to do that too, until I saw a TV programme about it… It my head it was much more Hercule Poirot luxury train travel! Great list. I’ve always wanted to go to Iceland to swim in one of the thermal pools. I look forward to seeing what other goals get on the list. Looks like you plan to do a lot of travelling! :) Although originally from Poland, I have never visited Auschwitz…I really want to go there but it might get too emotional so right now I am just waiting for the “proper moment” . 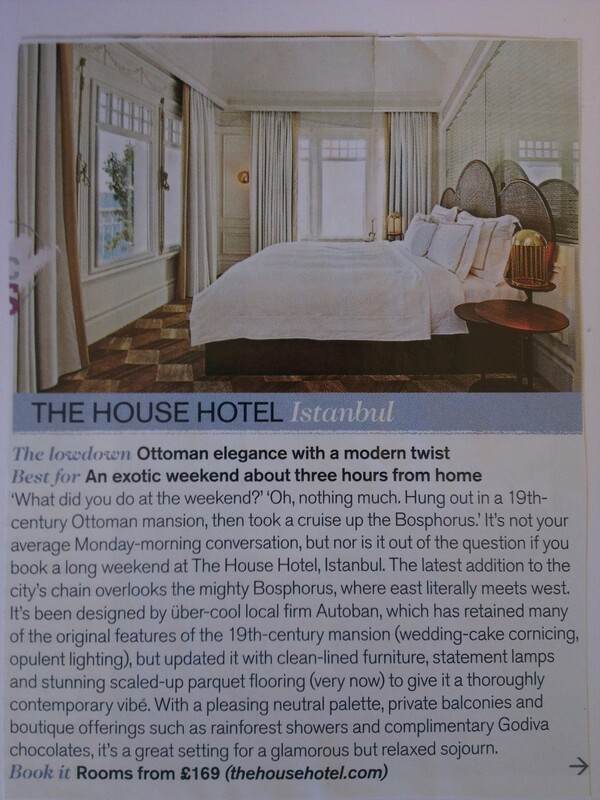 The Bosphorus is beautiful! I visited Turkey many times and recommend it to everyone. Especially that with Istanbul the time of the year to go there isn’t really a big deal – most of the times the weather there is perfect for sightseeing. Yes, I need some cheap things too I think! Good to know about the weather – in so many places it really can make or break a trip. I think “win the lottery” might be an essential! I’d add something daft like learn to ride a unicycle. Some kind of skill with no obvious use aside from bragging that you can do it. I think it would Lorraine! I do need some silly things too to balance out the ones that involve going to another country! I’ve just found this post, googling for ideas for my own list (I’m stuck on 28…) and as I’m reading the comments I see Michelle G, and I think, oooooh that’s my name! That she wanted to see the Beat off her list, well, what impeccable taste, one of my favourite groups. And she is exactly the same age as me too! Yes. It’s my comment. I think number 29 could be to work on memory exercises? Hahaha! This made me laugh a lot! It’s exactly the kind of thing I do!! I was reading something about social media in a Mollie Makes recently and was thinking ‘this is jolly interesting’… I read a bit more, then thought ‘Hang on, this sounds familiar’… I’d only bloody written it. What a numpty. What’s on your list so far? Glad to see it’s not just me then! List includes – Hot air balloon… Food challenge (sans picture)… Learn a new lingo… Remarry hubby… Ghost hunt overnighter… all being well that’s next month with my other ‘about to turn 40’ school friends. Oh and see Lawson in concert, and meet a celeb. Guess who’s got Lawson VIP tickets for next month? Two for the price of one! Lawson indeed, I’m old enough to be their Mum. Fanmomming lol. Finally taking part in NaNoWriMo… New glasses, expensive ones not the 21st century version of NHS ones that I’ve had to ensure for 34 years… Deleting Facebook. Oh and lose half my body weight Nothing too radical . The problem is I’m a boring sod, I’m not a thrill seeker at all. I don’t have a passport. And I’ve been a Mum for so long, since I was 19, that I genuinely don’t know who I am or what I want to do, when I finally challenge myself to do it? Meh. I totally know what you mean Michelle about the not knowing. I’ve been a mum too since my teens and that definitely has an impact – we’ve spent so long thinking about other people that we’ve not had the chance yet to discover us! I don’t think I’ll be getting much done before turning 40 with two pre-school kids in tow but I’ve always wanted to see the Northern Lights. A lie-in would feature high on the list too! When you have young children a lie in feels like the ultimate goal! Inspiring list! Making my own now! I stumbled across your blog whilst looking for inspiration for my own ‘things to do before I’m 40’ list, which I only decided to do yesterday. I’m afraid I’m much nearer that age than you though! I really like your list and I’ve even pinched one of your ideas – singing in public – hope you don’t mind. Looking forward to reading about how you’re getting on. I’ve just turned 36 and feel the need to do something, this is such a great idea! I would highly recommend adding a skydive! I never thought I would do it, but my husband managed to get me to jump out of a plane at 12000 ft. He became my fiancé afterwards at the time, as he proposed to me when I landed. But anyway, it’s just so incredible and anyone can do it. Personally it’s less scary than telling a joke at the Edinburgh Festival ;). every little bit of it and i also have you saved as a favorite to see new things in your website. What a great list! Don’t fret if you don’t finish it, there’s always 50 things before 50. I googled 40 things to before forty and I’m so glad you’re list came up. I absolutely love the idea of visiting the houses I’ve lived in. There’s only been 4 before the one I’m in now, 2 of which are local but other 2 are miles away. So this will be done. Wonderful list! Auschwitz is fantastic! I absolutely love this post. I have only just turned 30 this year but am already stressing about the next ‘big’ birthday. I am going to start my own list and make it a much more fun way of counting down the next 9 (and a bit!) years. Thanks for sharing! Haha I also manage to ‘accidently’ book holidays through Groupon. The latest one is Budapest.. You’ve got a great list there. I like the idea of visiting all the Counties in the England. The counties one was really fun. I know loads of people dream of travelling all over the world, but we live in such an amazing country, it seems a shame not to make the most of that first at least. Love this I’ve started a bucket list with my husband and we have made a start already. He has done a driving day and we have both done clay pigeon shooting. That’s very cool! What else is on the list? I love your list and how many dones you’ve achieved. I’m the other side of 40 and can only tick off 1 ( take a decent photo) with plans to try home made lemon curd at some point! Definitely give my lemon curd recipe a go, it’s super easy!